We were very proud and happy about the invitation to be a part of the business mission that accompanied the Slovak president, Mr. Andrej Kiska on his official trip to Slovenia. There were 19 unique Slovak companies on this trip, one of which was TULIP Solutions. 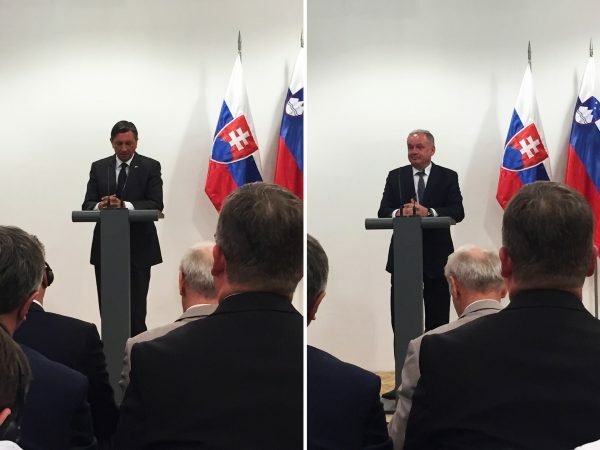 On Monday, April 23 2018, President Andrej Kiska officially visited Slovenia, where he was invited by Slovenian president Borut Pahor. President Kiska is known for his priority in supporting the Slovak business environment. Inviting Slovak businessman and women on his foreign trips is one of the ways he does this. Our companies have a special opportunity to get a closer look into the diplomatic environment and to find new partners for cooperation abroad. 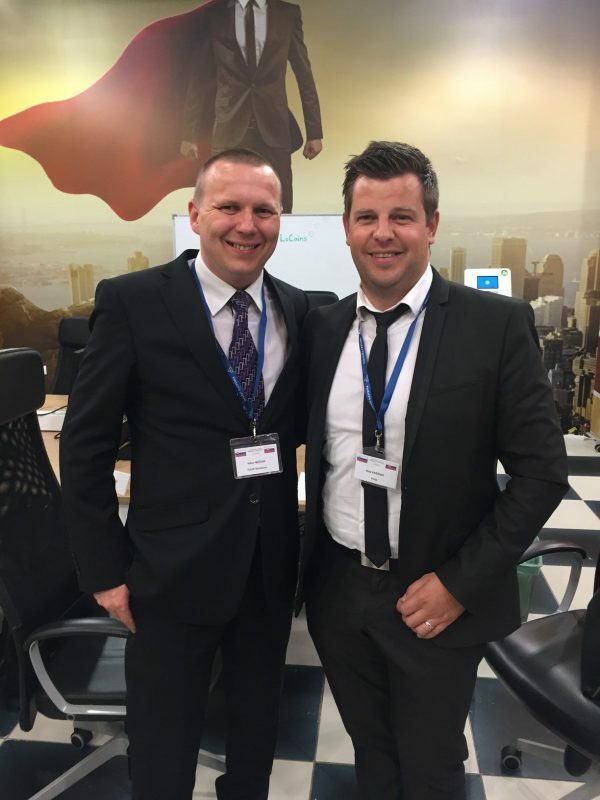 There were 19 Slovak businessmen invited on this one-day trip and our director Viktor Mečiar was one of them. While both presidents were partaking in their official duties, the business part of the mission attended a Business forum, where they met companies from Slovenia whose core business interests focus on innovation, biotechnologies and smart cities. TULIP Solutions already has clients in Slovenia, due to our cooperation with our Slovenian partner UNIJA. UNIJA was also invited to this forum, so we not only had a chance to meet potential new partners, but also to strengthen our old partnerships in this beautiful and promising country. 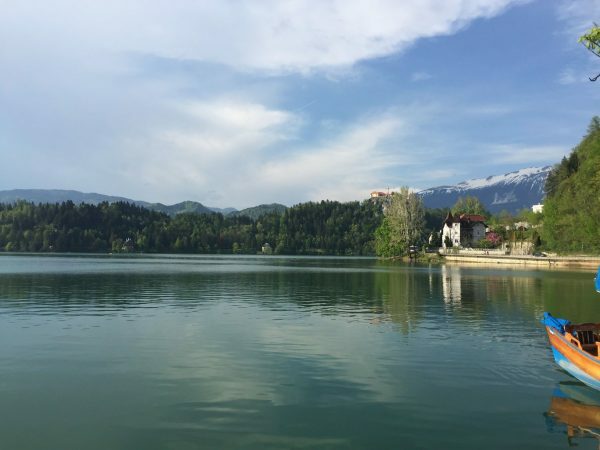 After the Business forum had finished, the Slovenians prepared a relaxing programme with a short walk around a beautiful lake called Bled. It was followed by an evening meal with the Slovak president Andrej Kiska. The delegation then travelled back home to Slovakia on the presidential plane. 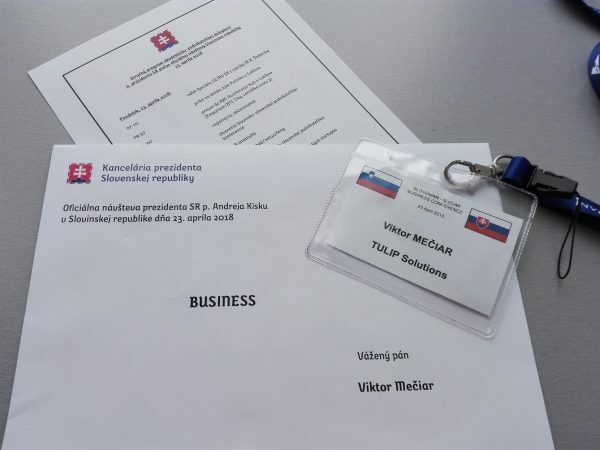 The invitation to go on this official trip, wasn´t just about prestige for TULIP, we value meeting with the Slovak president and also his efforts in supporting Slovak companies with their exports to other countries. We met some new inspiring companies and there will definitely be some discussions about future cooperation with them. We would like to thank the President´s office for the invitation and for the support of all the businessmen (not only) in Slovakia.